Home Study/online learning is also available. Gain specialised skills to further enhance, or begin, your massage career. Gain CPE points and or join Massage Association and get Professional Liability Insurance as we have approved massage courses for beginners and experienced masseurs. We have different study options you can choose from to meet your needs. Dynamic classes at Central Springs School of Massage or personalised teaching with one on one instruction and approved homestudy online courses in all modalities and more. Email CSSM for more details or phone 0407645764 to discuss your options and what you want to achieve from your studies. We create flexible study plans to meet your needs. Small class sizes to ensure individualised attention. Approved qualification from a reputable school. Modern Knowledge and ancient wisdom is combined in all courses. Professionally produced DVDs to assist with ongoing learning and refinement of techniques after the course. Teaching experience and expertise guaranteed. Learn fantastic new skills that inspire and improve your earning capacity. 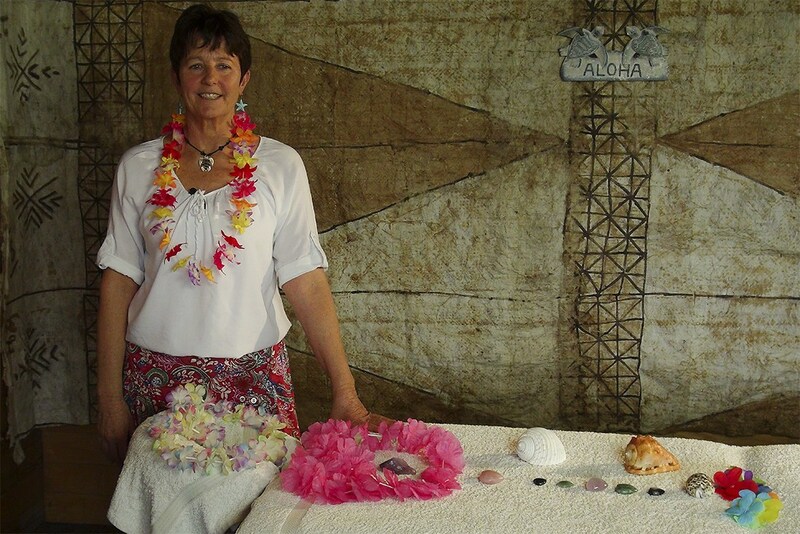 Director, Kaye Dixon has continually studied and taught different massage and healing modalities for over 3 decades both internationally and within Australia. Open up to your limitless creativity and develop on a personal level . You will have fun, relax in the country, meet new friends and network with other therapists. All courses aim to help you to connect to body, mind and spirit so you leave feeling refreshed and rejuvenated. We can create flexible study plans to meet your needs. Continually reassessing courses to maintain high standard of outcomes and learning. Check our web site regularly for upcoming Relaxation Therapeutic, Hawaiian Lomi Lomi, Kahuna Temple Style courses, Ayurveda Indian Head Massage and Shirodhara courses, Hot Stone Therapy, Foot Reflexology workshops. Homestudy and Online courses also offered. One on One personal tuition is also available for courses . Just been watching your snippets of DVDS and they brought back wonderful memories of my visits to learn with you. They look wonderful. My business is doing well. My treatments have changed. I feel more focused after training with you. I find I am incorporating some Lomi and Kahuna strokes and techniques into all my treatments, including remedial. I do heartbreaths at the beginning and end of all my treatments now and I even sneak in a few reflexology points if feet are part of the treatment. Reflexology is taking off now too. One lady I’ve been massaging regularly asked for one and now that is all she wants. I get quite a few clients requesting Lomi and Kahuna, particularly visitors during the Summer. I’m really pleased that you have produced the DVDs none of the others I find on YouTube are really much good. Thank you for being my teacher. You have changed me and the way I do my treatments….all so very positive. I would just like to say a BIG thank you for such a great weekend, It was an experience I will never forget, the views, the food and the new friends I have met through your course were amazing and I cannot wait to do another. I cannot stop telling people about the courses u provide and the passion you have for massage. Hope to see you again soon. Kaye, I really want to thank you for this great opportunity for home studying! Your video is really nice! You tell and show the massage technique accessibly and clearly. I was very comfortable to do! I also learned a lot of interesting information about Lomi Lomi massage from your educational material. It is compiled correctly and interestingly. By this, I will definitely visit your store for further replenishment with massage techniques Regards, Edgar. All course certificated and can be used as credits towards professional development if member of Massage Association. Enrol today and gain your CPE points with approved courses at CSSM. All courses are approved so can join Massage Association and gain insurance. Kaye Dixon is Director of School since 2000. For more details contact Central Springs School Of Massage . Courses are held regularly at CSSM, half way between Castlemaine and Daylesford. One and a half hours drive from Melbourne. The farm is on 120 acres of beautiful countryside with horses to inspire and strengthen us. Learn in a relaxed environment where you can connect to nature and self enjoying a peaceful retreat. Interstate participants welcomed and travel arrangements assisted with. Kaye Dixon qualified as Remedial Masseur in 1985. Since then she has studied many different modalities both here in Australia and overseas. Specialising in ancient techniques of Hawaiian and Ayurveda healing arts as well as aromatherapy and astrology. Kaye’s teaching experience is diverse having lectured at university in media studies as well as teaching different bodywork modalities for day spas internationally and in Australia. Kaye is an approved trainer and director and founder of Central Springs School since 2000. Her passion is to train her students in techniques and personal development so they have successful and long lasting careers that they love.